It takes courage and a bold stance to establish a vision that is truly extraordinary. 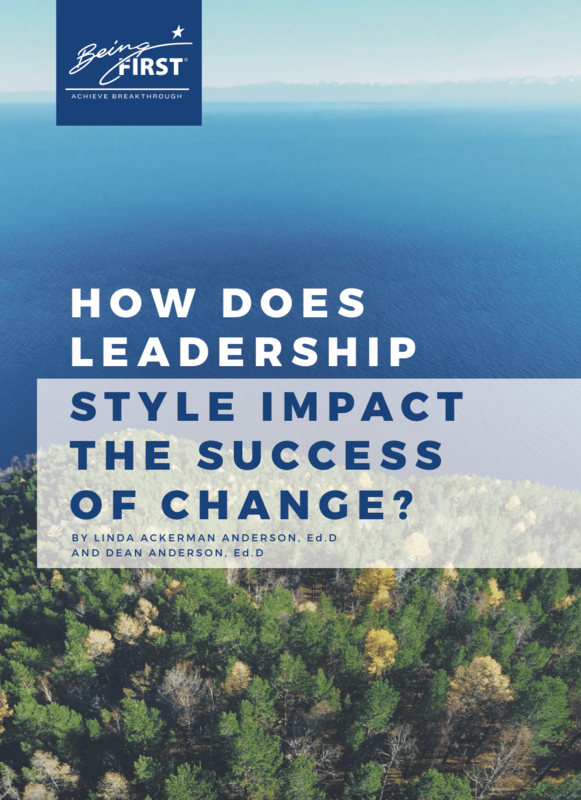 Dr. Dean Anderson explores how visionary leaders inspire the passion and capability of their people to achieve breakthrough results. A good change consultant's primary job is to catalyze insight and clear thinking in their clients so their executive leaders are able to lead their organization's change efforts with greater skill and competency. In this free eBook we provide you with questions that promote the right type of thinking and actions to support change. In this eBook, you will discover a new leadership paradigm, skills and methods to achieve breakthrough in business results, culture and leadership in all your complex change efforts. How do you design and implement a major organization transformation so that you actually achieve results? Is there a roadmap to follow? Yes, there is. Your leadership style will make or break your organization's transformational change efforts. Find out why in this free eBook. 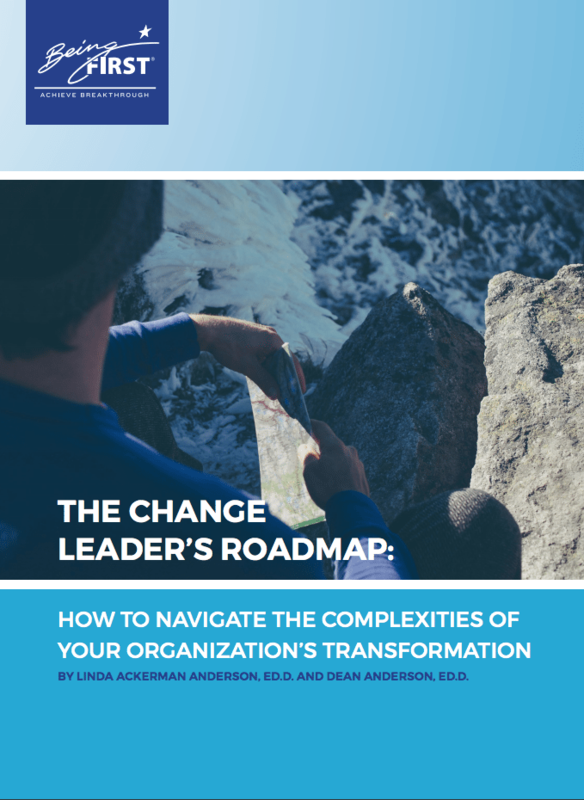 In this free eBook, you will learn the three key components to leading change effectively, and why even the most ambitious executives end up falling short in their process. 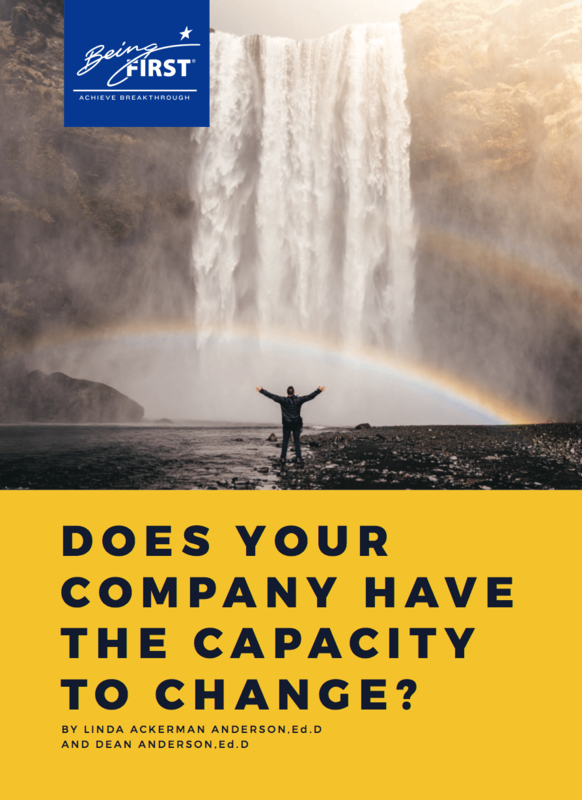 Does Your Company Have the Capacity to Change? 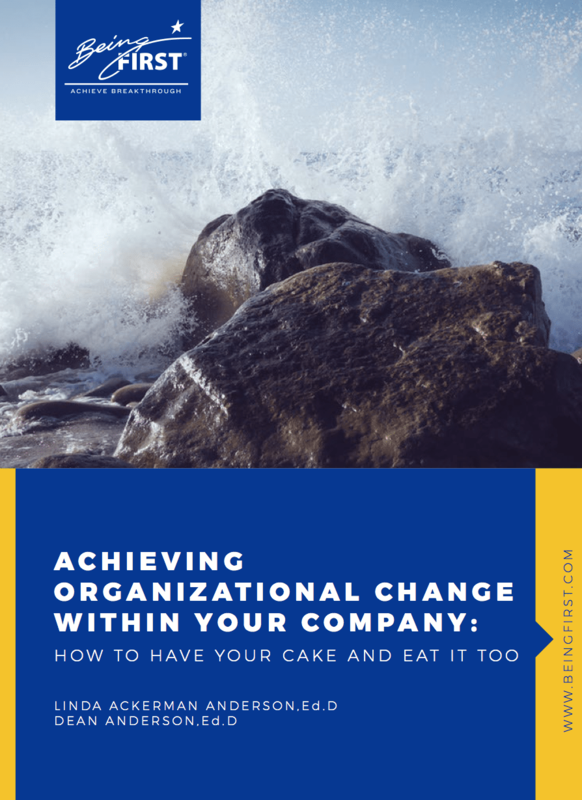 In this free eBook, you will learn how to deal with the daunting issue of managing capacity across change initiatives and operations.